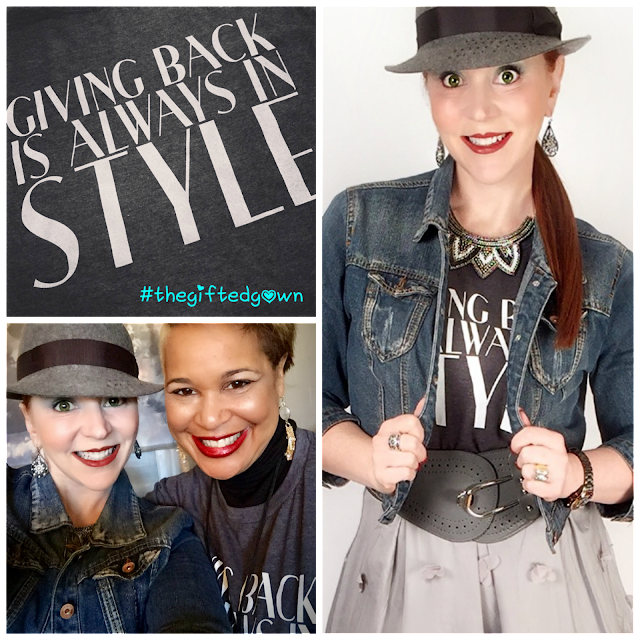 If you saw my last post, you know how excited I am to be on the first Board of Directors for The Gifted Gown, a 501(c)(3) organization whose mission is to provide formal and semi-formal attire free of charge to both women and men who would otherwise miss out on special occasions because they can't afford to dress for them. Last Saturday, the organization hosted a public event geared toward ensuring central Indiana students in need wouldn't miss their proms for lack of a beautiful dress or dapper tuxedo. I am so excited and humbled to share that in five seemingly short hours, we were able to help 152 young women and men from 31 different schools! Our volunteers all sported stylish Gifted Gown tees like this one. FInd out how to get your own below! You may wonder why this post doesn't include photos of Saturday's prom event. I'd love to share all those smiles with you, but The Gifted Gown takes the privacy of its guests seriously and we would never take or share photos without permission. Plus, we were so busy helping more than 150 young men and women that there wasn't much time to take photos anyway - a great problem to have! While it's unfortunate there is so much need in our community, how beautiful it was to see the smiles on the faces of students (and their moms) who were quick to let us know how welcomed they felt by our volunteer personal shoppers; and how impressed they were by the diverse and high quality collection of prom attire we were able to provide in sizes for every figure. This event would not have been successful without the support of so many individuals (and a few local businesses) who donated formalwear and accessories (much of it brand new), as well as the cadre of volunteers who showed up to help sort, size, set up, shop, and break down our temporary "boutique" at The Hatch, which was generously donated for the day. I would love to extend a personal thank you, by name, to each and every volunteer who helped make the event such a success, but I don't want to risk leaving anyone out! 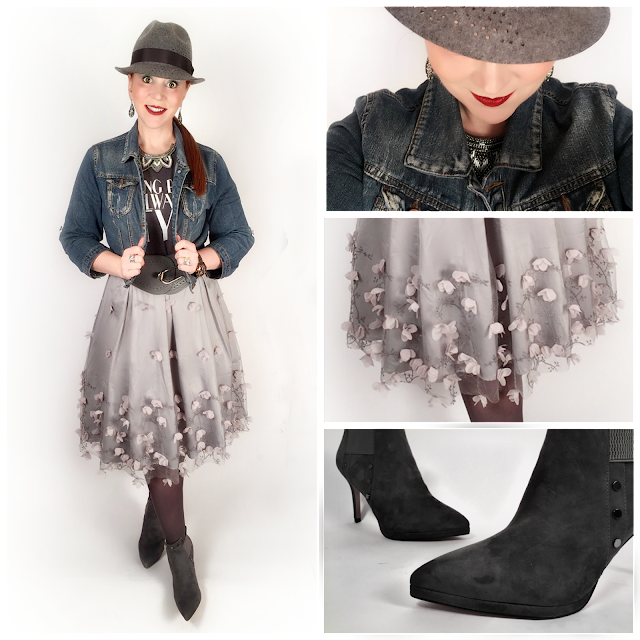 My "Giving Back is Always in Style" tee from The Gifted Gown worn Red's Shoe Diaries' style with an embroidered tulle skirt (Eliza J, Nordstrom), a fedora (Marigold Boutique), and grey suede ankle boots (Karl Lagerfeld). Of course, The Gifted Gown isn't just for prom and it isn't just for students. If you or someone you know is in need of formalwear for any occasion at any time of the year (eg., weddings, military balls, homecoming dances), The Gifted Gown is here to help! 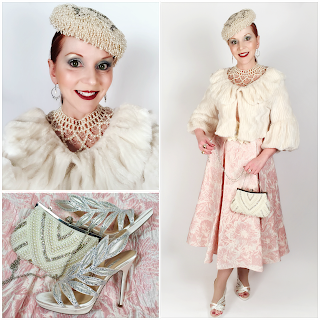 Right now, the organization manages "non-prom" requests on a one-off basis, working with each client in need to pull a few potential ensembles from storage and arrange a convenient place to meet. As a new organization, we don't yet have a permanent "home" where clients can "shop" our inventory in an easily accessible manner, but we are working toward that goal because the need is so great. If you'd like to help The Gifted Gown with its mission through a tax-deductible monetary contribution or a donation of formalwear, find out more here. 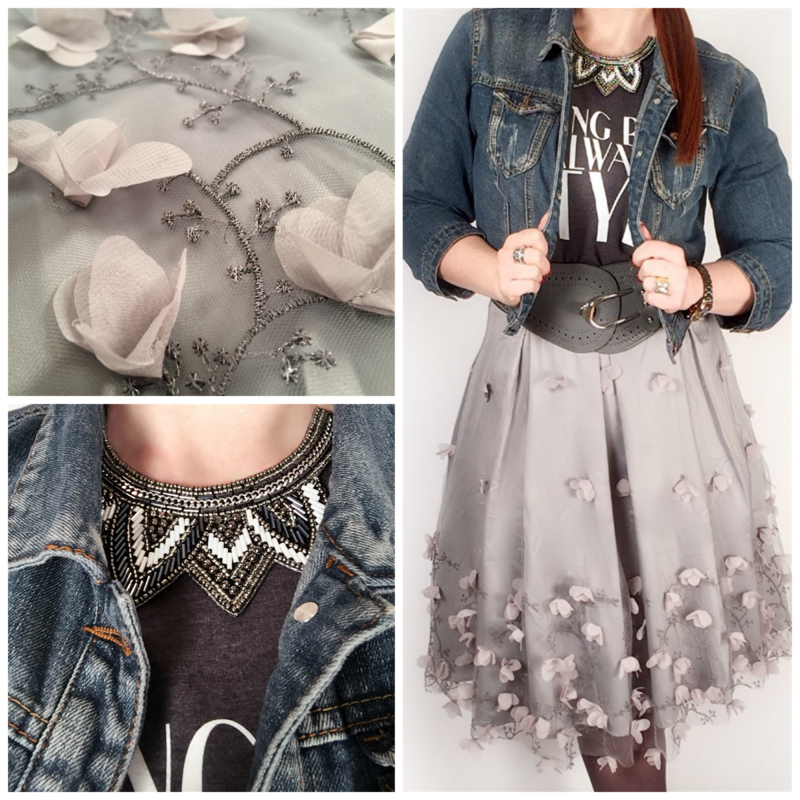 A beaded necklace from Francesca's and the ultra-feminine embroidered tulle skirt provide fun contrast to the more casual tee and denim jacket. You can also help by purchasing a tee shirt like the one I'm wearing in this post. 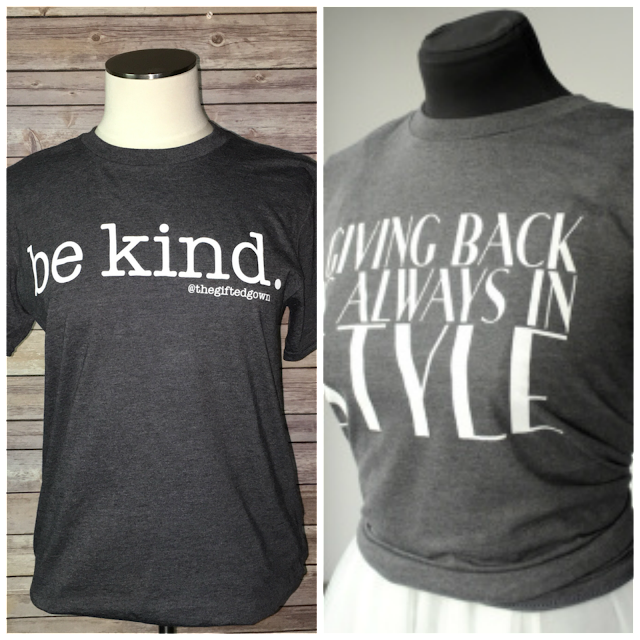 These super soft heather grey Gifted Gown tees come in two styles: "Giving Back is Always in Style" or "be kind." They're a bargain at just $20, delivered, and all proceeds go directly to The Gifted Gown in support of its mission. You can ORDER YOURS HERE. 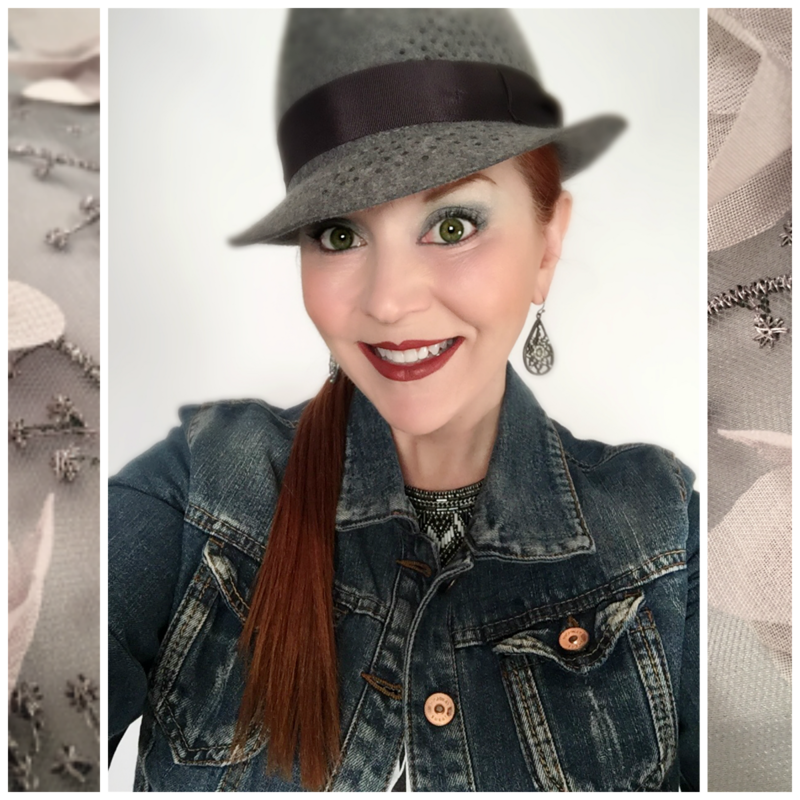 Not a t-shirt and jeans kind of gal? 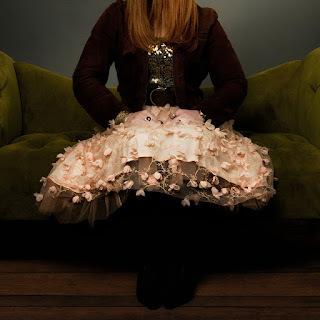 That's okay - I'm not either, but I love these tees with tulle! Style is what you do with it!